This is without a doubt our biggest and best build yet! 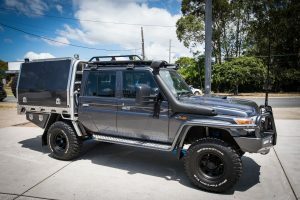 We’ve bought together some of the best products the industry has to offer in a four week build that has transformed our own humble 79 series double cab LandCruiser into a monstrous masterpiece, and with graphite on the brain we’ve spared no expense or attention to detail. This is one truck you’re going to want to check out for yourself in the flesh. 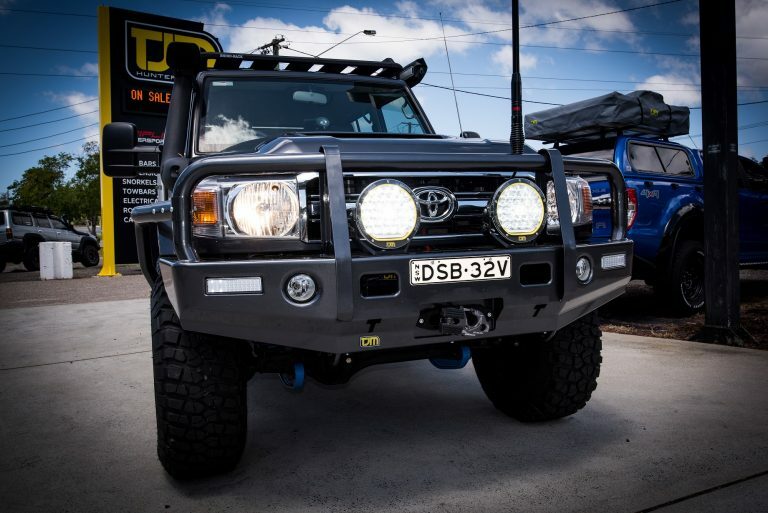 This truck replaced its silver and black predecessor that you may already be familiar with from previous posts and this time we opted for a similar set up with the double cab 79 series but in Toyota’s 1G3 Graphite colour code. 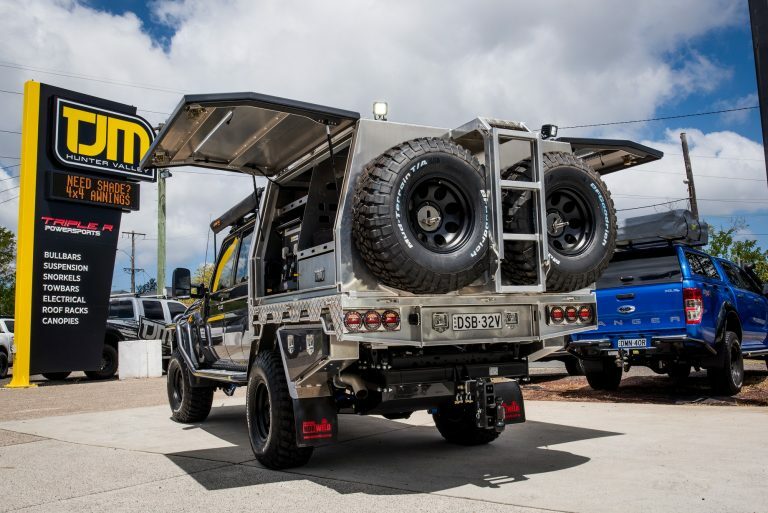 The stand-out feature for this truck is the stunning jack-off canopy and tray built by Norweld Australia. 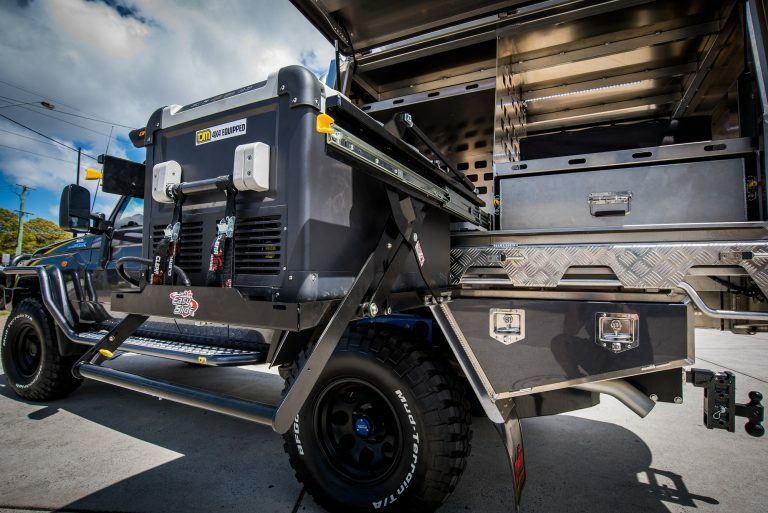 Isaac and the boys from Norweld went to great lengths to ensure that the 4.5 Deluxe series tray and canopy tied in and worked flawlessly with the other mods that we had done to the vehicle. The brilliant alloy constructed tray features a one piece fully welded floor using 4mm high tensile plate, a 43l under-tray water tank and a heavy-duty under body trundle draw for extra storage. 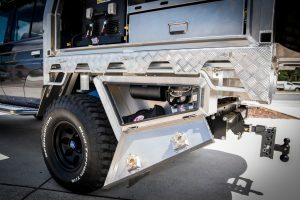 The side under-body lockers are colour coded to suit the rest of the truck and have that sleek profile that gives the extra storage without the horrible departure angles. 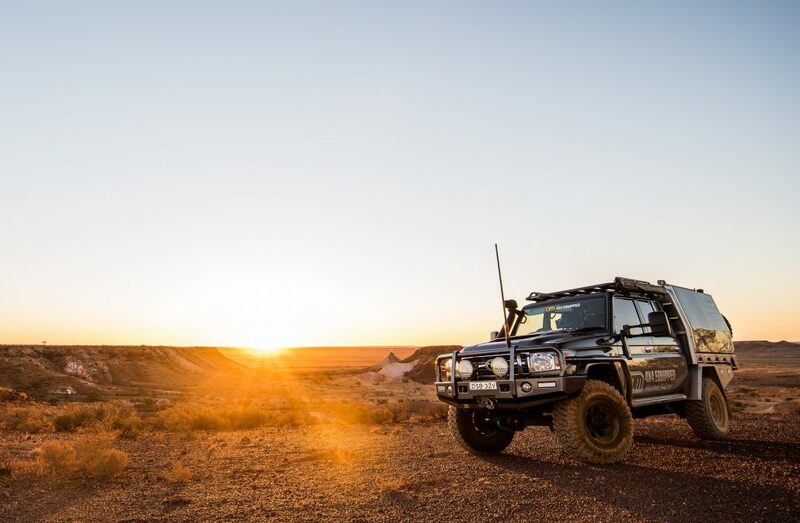 The Canopy features tough 4mm Alloy wall construction, dual spare wheel carriers that can accommodate the 35 inch tyres, a Clearview drop-down fridge slide and a heavy-duty slide-out draw system. The wing style doors were also colour-coded to tie in with the vehicle’s colour scheme and an adjustable roof-top tent frame sits on top of the canopy for future use. 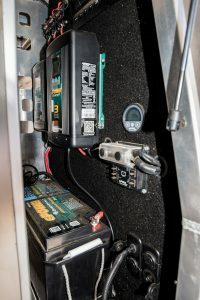 Dan from TJM went to town on fitting the canopy out with some heavy-duty power distribution from Enerdrive including a 200A/h lithium battery, 40A BCDC charger and 40A 240v charger with solar input and some handy custom board work and wiring. This is to power the Waeco 110L upright fridge and the Waeco CFX75 dual zone fridge because…well you can never have too much cold can storage. There’s also some Lightforce Rok40 exterior lighting to help light up the campsite so you can drink said cans in full flood light. It wouldn’t be a TJM built 79 Series without a Jmacx rear coil conversion kit. Dan is the maestro at fitting up the Jmacx kits and has done so many of these kits he can fit them in his sleep. 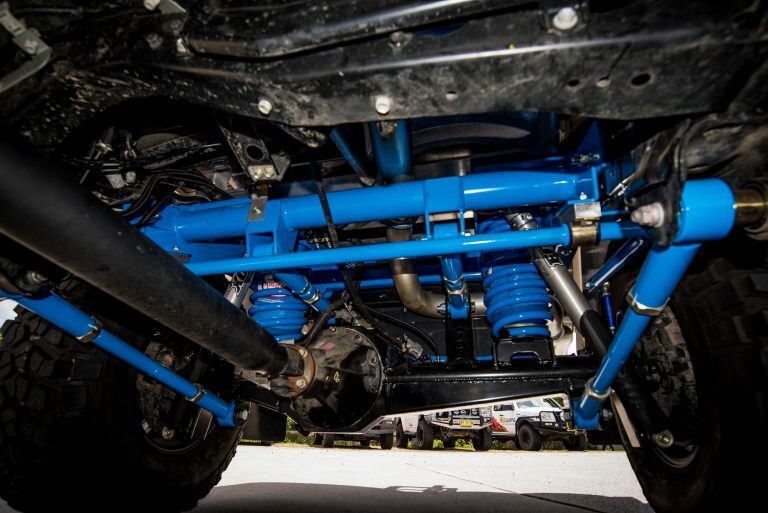 We decided to do something different with this kit and had all the suspension components colour coded to suit the blue coil bracing so not only is the kit functional, providing better wheel travel, articulation and ride comfort, but it also looks the part as well. 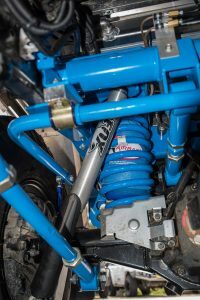 The Jmacx kit is riding on Fox 2.0 Performance suspension with remote canisters and custom valving to suit the Lovells rear coils and sits at 3 inches of lift all-round. Extra support is given by the Airbag Man high pressure airbags which are controlled by an on-board compressor and full in-cab air control and monitoring system. The kit is engineered for a GVM upgrade to 3900kgs as well to compensate for the extra weight. 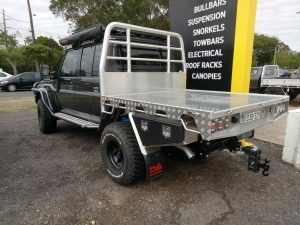 Bar work is courtesy of TJM and is running the full compliment of the T13 Outback steel bull bar, underbody guards, side steps and brush bars. 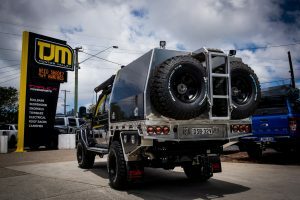 Trev and the boys from T&K Restorations spent some late nights colour matching all the bar work, flares and Long Range Automotive 180L long range fuel tank so the whole truck is looking spectacular in the dark and stormy Graphite grey. 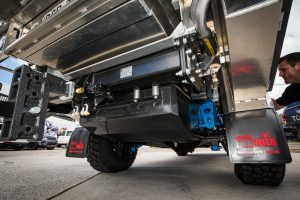 The bull bar houses a TJM 12,000lbs, synthetic rope winch with a Factor 55 hook to take care of recovery duties and on top of the bar sits a pair of TJM Narva 215 LED driving lights for turning night into day. 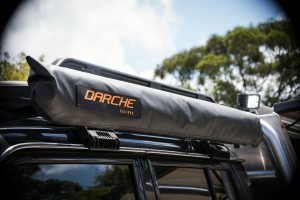 A Rhino Tradie rack provides additional storage for the roof and a Darche 1400 shade awning provides shelter from the elements. A set of Clearview towing mirrors gives some much-needed extra vision around the canopy and helps out when the trailer is hooked up. The interior has received some upgrades courtesy of Department of the Interior. 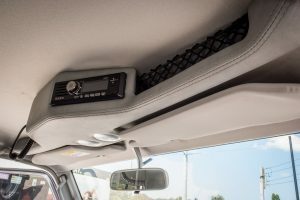 An overhead console as well as a replacement centre console increases the interior comfort and storage of the sparse interior on the GXL and houses a few extra goodies such as the Uniden 9050 UHF radio and Narva switch banks. 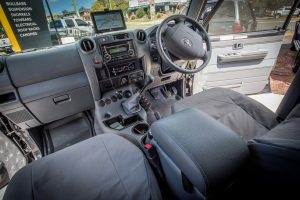 Tuff Seat canvas seat covers by Inland Australia keep the seats looking fresh and new, and a set of No Bull Sandgrabba moulded mats keep the mud and sand off the carpet. The truck is rolling out on Pro Comp Series 69 alloy wheels that are 16x 10 inch and tyres are 35 inch BF Goodrich KM2s. 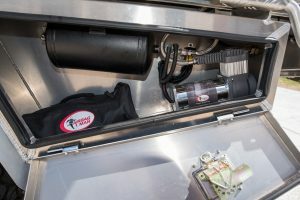 Under the bonnet for now is some basic protection for the engine including a HPD catch can and Diesel Care pre-fuel filter kit. There’s also a TJM Airtec snorkel to replace the OEM unit…but we know you want more! And there will be more to come. Total value so far is around the $175,000 mark and climbing. Power mods are so far untouched but will be stage 2 of the build. We will keep the details a mystery for now but stay tuned to this channel because if you know us, you know it will be worth it.